Although Paleo Diet followers would disagree, many others state that oats work as part of a weight loss strategy because the amount of fiber boosts your metabolism and helps you feel fuller longer. Everyone from The Biggest Loser trainer Bob Harper to the American Heart Association says to make a bowl of oatmeal for the best start to your day. The antioxidants and other minerals oats contain make it a solid choice and not just a source of fiber. Cutting your cholesterol might also be on your list and this is a great way to get those levels down. There’s no need to eat bland and boring food when you’re trying to lose weight. This is a great time to experiment with seasonings from different cultures. Many of them have thermogenic properties that boost your metabolism, while making some so-so dishes taste like they’re from a restaurant. Some examples: Mustard seed will spice up your entree and get your metabolism going, and ginger can help with your digestion. Ginseng can boost up your energy, and black pepper can help burn calories. Like Indian food? Turmeric can help break up fat. Oprah likes sweet potatoes, and credits them as part of the reason she lost weight one time. But can you really slim down by swapping a baked potato with its sweet cousin? Turns out sweet potatoes are great for dieting because they have fewer calories and also help you stay satisfied between meals. If you’re addicted to spuds this can be one way to take out a food that usually gets the no-no when dieting and replace it with a superfoods such as this that has good things for you like fiber, Vitamin C, potassium, and Vitamin B6. It’s hard to wrap your head around the fact that you are helping yourself to lose weight when you eat an apple. They are so sweet that they can help conquer sweet cravings, and it’s easy to see why they end up in a lot of desserts. But they are low in all of the things that you want them to be like calories, fat, and sodium. They have a good amount of fiber. The fiber helps you feel full, and keeps you from going mad in between meals. It also helps keep things moving along digestively. Just be sure to chew your apple up real well before swallowing, and buy organic so you can leave the peel on. This is one food that almost every single diet plan in existence suggests you eat. Nuts are one food that unites the vegetarians and the Paleo followers, and we have yet to find a diet program that says not to eat them. They’re straight from the Earth and a small handful of raw organic almonds, walnuts or pecans can be a crunchy snack that leaves you feeling good for a few hours or more. If you don’t like eating nuts for a snack, try chopping them up and sprinkling them on main dishes or side items. You’ll still get the good fats they bring and they help flavor up the meal. This is been known for some time in the vegetarian realm but is now making the rounds to the mainstream. The weight loss benefits usually come in the form of switching out sides with quinoa instead of more calorie-dense foods like rice or potatoes. You’ll still get the benefit of rounding out the meal, with the added bonus of the vitamins that quinoa has. If you haven’t tried it yet, what are you waiting for? It helps you feel full, doesn’t have a lot of calories, and ranks low on the Glycemic Index. Score! Beans are a staple item in The Four Hour Body’s Slow Carb Diet. They are lauded for their ability to help regulate blood sugar levels and help with digestion due to their fiber content. Try adding a can of organic black beans as a side to your next meal, especially if it can replace a more carb-laden item like bread or rice. Many restaurants keep black beans on hand as a substitute for a side, so they’re a great go-to item when you’re out with friends and want to eat well without looking like you’re on a diet. The egg debate rages on with so many gurus saying the yolks are OK, and so many others saying for weight loss you should stick to egg whites. Why all the fuss? Eggs are a good source of protein, and the main argument is on whether the fat and cholesterol in the yolks is worth eating. Play it safe and get the benefit of the protein without worrying about the yolks. When your weight is where you want it you can start adding them back into the equation. No need to go on some whacky grapefruit diet to get the benefits of it, but for most people this is going to require a new purchase at the store. Grapefruit doesn’t tend to make it onto most people’s shopping lists, but it should. In regards to weight loss the long standing myth that they help you lose weight is being proven left and right by clinical studies. And you don’t have to buy the fruit, you can also simply buy grapefruit juice and start drinking that instead. Tim Ferriss of The Four Hour Body says he uses grapefruit juice on his “free days” in an effort to avoid the food he’s eating from causing weight gain. While not an option if you’re going vegetarian or vegan, this is often used by dieters and bodybuilders alike because of its high protein value and low amount of fat. Dark pieces of chicken just don’t measure up when it comes to quality protein. Most Americans have no trouble adding chicken to the diet, since it’s one of the most popular meats in the country. Just remember that it should be skinless. Try using different spices like the ones mentioned above to make it more interesting. Combined with strength training this can help tone your muscles leading to a higher metabolism. Perhaps it’s because it takes us back to our simian ancestry that makes eating a banana seem natural. The more studies they do on the effects of bananas in humans, the more attention they get as a definite way to help keep us at our ideal weights. They’re super easy to incorporate into the day, since they’re so versatile. Cut some up and add it to oatmeal, keep a bunch around as a quick grab when you need something sweet or on-the-go. Just stick to one a day since they are a source of sugar as well. Pears often get overlooked as the long lost cousin to apples, but they bring their own unique flavor and host of benefits, including weight loss properties. They help you feel full when you eat them, and they’ve got a different consistency to apples and other fruits, making their fiber even more effective. They’re also used in plenty of recipes that yield delicious results. If you didn’t use pears in your cooking before, or as a fruit to just have around, now’s the time to start. These contain a phytonutrient that actually helps suppress your appetite. This means you don’t have to resort to expensive diet pills with nasty chemicals that are meant to do the same thing. All you have to do is keep a supply of pine nuts available. Since they’re tiny and crunchy you get to eat a lot of them without having to worry about ruining your efforts. It let’s the body have it binge time while still helping you lose weight by keeping you away from more offensive foods. Opting for mushrooms instead of pepperoni or sausage on your next pizza may do little to help drop the pounds, but increasing your intake of mushrooms along with other healthy foods should yield better results due to their low calories and high vitamin content. Be sure to branch out when it comes to mushrooms, trying the ones that may look a little strange instead of always opting for the button mushroom used everywhere. They all have their own unique characteristics, but all share the common bond of helping you to lose weight. Lentils are gaining more popularity has a healthy food, and one that can help you lose the weight. The fiber they contain will help keep you feeling good between meals, and will help your blood sugar levels from spiking. If you’re going vegetarian you can use lentil as a good protein source, or you can use them to compliment a protein and act as a side dish. It helps keep your cholesterol in check and help you process carbs more effectively. If you like your food hot, there may be some good news for you. Hot peppers like habaneros, jalapenos, and chipotles can actually help you to lose weight, while also adding a kick to most any dish. They contain capsaicin which provides several benefits that relate to losing weight. And if you were worried that eating these hot peppers would make you burn a hole in your stomach, recent research is showing that they may actually help to prevent stomach problems like ulcers by killing the bacteria responsible. Fire away! We’d be remiss if we didn’t include broccoli on this list, even though you’re probably sick of everyone telling you about it. Turns out your mom and your grandma were right, these are really good for you, but aside from that they can also help you shed some fat. How? Broccoli fills you up, but it’s not just a filler. It has tons of nutrients per pound, and it’s also packed with fiber so it keeps you regular, which keeps you feeling good. Spice it up with spices or peppers, but just skip the broccoli cheese soup, as that doesn’t work for weight loss. Lean meats are full of protein without all of the fat, but you want to make sure that you opt for organic if you’re trying to lose weight. With conventional meets they’re pumping the cows, pigs, and other animals full of so many antibiotics and growth hormones which ends up in the meat you’re eating. This can thwart your weight loss efforts. Organic meats aren’t going to contain more nutrients in them than ordinary meats, but it’s what they don’t have in them that makes the difference. If you can’t find organic, go with grass fed or all-natural. Some say that you burn more calories eating cantaloupe than what it contains. Whether or not that’s the case is up for debate, but this is still a great food to add to your repertoire for weight loss. It’s sweet, but it’s not high in calories the way most sweet things are. It also has fiber in it, even though it doesn’t taste like it does. It goes great in a fruit salad with other diet-assisting fruits like honeydew, strawberries, or simply by itself as a quick snack or sweet pick-me-up. Added bonus: it helps to make your skin look great. Spinach is often a vegetable left on the plate of children, but adults are coming around to it since it really does contain a lot of good things in it for losing weight and general well-being. You can eat it in several different ways, fresh as a salad, in a can, and it also comes frozen. It works for weight loss by adding bulk to your stomach without tacking on the calories. 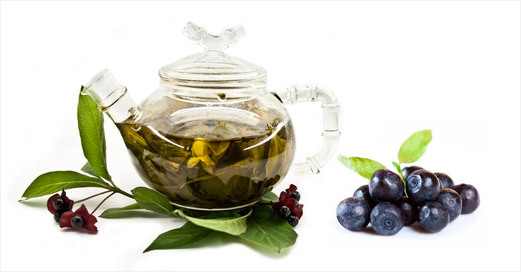 Perhaps you knew that green tea is packed with antioxidants, but did you also know that it can help you shed the fat? It’s the catechins! These are a part of green tea that get your body to switch over to burning more calories, as well as fat. Unfortunately for the other teas, green tea comes out the winner on many fronts because it’s not as processed as the others, and therefore retains much of its goodness, like antioxidants and phytonutrients that make it a superstar among superfoods. Don’t underestimate the power of cinnamon, it’s not just for baking anymore. You can get weight loss benefits simply by adding more cinnamon to your diet, with teaspoon a day showing positive results. What causes the magic? It’s the way that cinnamon helps to regulate your blood glucose levels. These play a major part in how you feel throughout the day, how energetic you are, or how sluggish you can get. Maintaining good blood sugar levels also helps you resist cravings. Just make sure that you’re not counting that cinnamon on your cinnamon roll! Asparagus has plenty of positive effects in the body, and each of them seems to play a particular role in helping you lose weight. The first is that it assists your body in expelling toxins and other wastes. It also helps with digestion and keeps good bacteria in your gut. Not to mention that it’s a superfood, so it has a ton of vitamins and minerals that help you all-around. A lot of dieters also like the way asparagus tastes, and it’s very easy to prepare, and accepts seasonings and spices very well making it an good addition to your regular menu. Even though the fast food chains have jumped on this trend and are sticking guacamole in everything, eating avocados is a great idea for slimming down. For years they were avoided by dieters because of their fat content, when everything that had fat in it was labeled as evil. Then we got smart and realized that not all fat is created equally and good fats actually help you lose the fat you have. Try adding avocado slices to sandwiches, or mash them up to make your own guac. Try to avoid the guacamole you see in restaurants because you won’t have quality control over the ingredients. This gets special mention for weight loss because it’s a good fat that can be used to help lose fat. It tastes great and can satisfy cravings and even keep them from coming at all. In The Abs Diet peanut butter is recommended for use in smoothies and is labeled a superfood. Almond butter is also a good fat to have that can provide a lot of creamy goodness, but it’s generally more expensive than peanut butter. In any instance opt for the organic varieties so you’re only getting peanuts and potentially sea salt. Compare two cups of grapes to 1/4 cup of raisins. Either choice has a little more than 100 calories, but you’ll probably be more satisfied with the grapes. Dried fruit has its place. When used sparingly, a few raisins or dried cranberries can liven up a salad. Raw vegetables make an outstanding snack. They satisfy the desire to crunch, they’re full of water to help you feel full, and they’re low in calories. Half a cup of diced celery has just eight calories. Coat celery with a little peanut butter or dunking carrots in salsa. When you’re in the mood for chips and dip, replace the chips with raw veggies. Foods that are rich in water take up more room in your gut. This signals the body that you’ve had enough to eat and leaves less room for other foods. Many raw fruits and vegetables are full of water and nutrients, and low in calories. Watermelon is a great example. It’s a good source of the antioxidant lycopene and gives you some vitamin A and C, too. Salmon contains omega-3 and some diets are built around it. At first glance you might think it’s too fatty to be a weight loss super food, but it doesn’t rank high in saturated fat, the kind that you find in a fast food hamburger, and the omega-3 content trumps any other concerns. This is something that you want to try adding to your diet to see how your body responds to it. If you are getting good results from it you can consider having it more times per week. Luckily there are plenty of good salmon recipes that will keep the fat content low but make it taste great. The enzymes in apple cider vinegar help the digestive system and have been shown to promote gradual weight loss. The recommended way to take it is adding it to distilled water and drinking it before a meal. It will help your food get digested properly so your body can use the nutrients the food contains. It also works to suppress your appetite, so if you find that you become ravenous between meals and are looking for a way to calm your urges until the next meal time, this may be a solution for you. Greek yogurt has been getting attention as a healthier form of yogurt. This is because it packs a bigger protein punch, with less sugar than ordinary yogurt. But you don’t have to give up regular yogurt altogether, and there are other foods that Greek yogurt can fill in for. For example you can use it as a reasonable substitute for sour cream and shave off plenty of calories and fat grams. You can also use it in your baking to replace other fats and oils, but this might take some trial and error. The reason olive oil helps you to lose weight is because it can take the place of other things like salad dressing and other oils that are considered bad fats. Even you change nothing else in your diet or lifestyle and just start using olive oil you should still benefit by losing weight. But most people find that if they start to embrace more of a Mediterranean diet the results are accentuated. Almost any diet that replaced the Standard American Diet is going to be better for you and cause the pounds to drop, and using more olive oil in your life can bring many positive benefits. The wonderful thing about blueberries and weight loss is that it’s not just general weight that you lose, but specifically the fat. They might be responsible for helping the body break down fats and sugars, plus they taste amazing and can flavor up otherwise tame meals. They also play well with other fruits in a fruit salad. Just be sure to eat them without adding sugar to them. We singled out blueberries for their fat busting properties, but many other berries can help on your weight loss quest, so broaden your horizons and have a berry nice day. Turkey breast is a great food to keep on hand because it’s so convenient to eat in moments of weakness, and because it provides a lean protein source. Those on a no-carb or low-carb diet will be going through plenty of turkey breast and other meats, and those that are on a diet where you balance carbs with proteins will also find it useful. The protein it contains can also help if you’re strength training or trying to build muscle in an attempt to rev up your metabolism. This works by increasing the number of calories your body burns 24 hours a day. You can sprinkle flax seeds on most anything, and it would be a better option than many of those sprinkle diet programs that keep popping up. This is because it contains things that help your body, like omega-3s, and it contains fiber, which will help you feel full. It’s the essential fatty acids that also work to give your metabolism a boost. As a side bonus it also lowers the levels of bad cholesterol in your body, and made it onto our list of superfoods for its many healthy benefits and ease of use. It’s no surprise: the foods that you suspected all along are healthy and good for you and make a stark comparison to all of the heavily processed, prepackaged foods that are sold by supermarkets, fast food joints, and restaurant chains across the country. Fill your cart with these the next time you go shopping and start infusing your body with foods that will make it slim and trim!